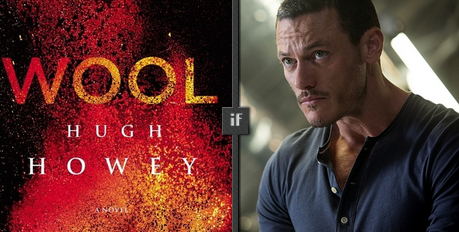 Hugh Howey’s popular sci-fi novel, Wool is being adapted for the big screen! 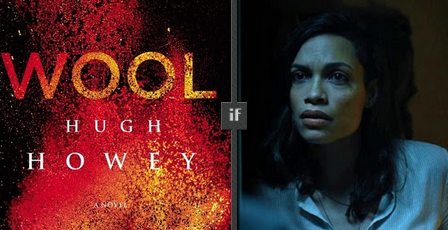 After getting into a bidding war, 20th Century Fox was lucky enough to nab the rights to the novel in 2012. The Fifth Wave director J Blakeson originally wrote a screenplay for the movie, but it was eventually shelved. The Wrap reported that it’s back in development with Guardians of the Galaxy screenwriter Nicole Perman rewriting the script, and Ridley Scott, Steve Zaillian and Garrett Barsch producing. Wool was originally a series of novellas that were later turned into a novel, and is the first book in The Silo Saga. The series takes place in a post-apocalyptic Earth, where humanity is trying its hardest to survive. To do this they live in an underground city called Silo that extends 144 stories beneath Earth’s surface. Inhabitants of the Silo believe that the outside world is unkind and no one is ever allowed to speak of it. If one does, it is considered a major crime that could lead to the person being exiled to the outside. The novel consists of five books with the first one following the Silo’s Sheriff Holston. The next four follow the stories of other characters, Juliette, Jahns and Marnes, while the overall storyline of the series revolves around the mystery in the Silo.